Trump administration sued over phone searches at US borders — The Trump administration has engaged in an unconstitutional practice of searching without a warrant the phones and laptops of Americans who are stopped at the border, a lawsuit filed last week alleged. From a report:Ten US citizens and one lawful permanent resident sued the Department of Homeland Security in federal court, saying the searches and prolonged confiscation of their electronic devices violate privacy and free speech protections of the US Constitution. DHS could not be immediately reached for comment. The lawsuit comes as the number of searches of electronic devices has surged in recent years, alarming civil rights advocates. One approach is to encrypt your phone data, of course, and it’s not that hard (but proceed cautiously as I have heard of people locking themselves out of their own devices irretrievably). And what do do about ‘mega-breaches‘ like the Equifax debacle? This put 143 million US consumers’ personal data at risk, including names, Social Security numbers, birth dates, addresses, and even some drivers license and credit card numbers. For safer email, maybe the only answer is to write text-only messages. Facebook enabled hard of Jews — ProPublica is reporting that Facebook “enabled advertisers to direct their pitches to the news feeds of almost 2300 people who expressed interest in the topics of ‘Jew hater,’ ‘How to burn jews,’ or, ‘History of why jews ruin the world. '” The organization even went so far as to test these ad categories by paying $30 to target those groups with three “promoted posts” – in which a ProPublica article or post was displayed in their news feeds. Facebook reportedly approved all three ads within 15 minutes. Mapping errors — the mountains of Kong form a magnificent, impassable mountain range in West Africa. Luckily it’s not real. But that didn’t stop 19th-century writers from waxing poetic about its formidable, snow-capped peaks, or illustrious cartographers from including it in historical maps. Old maps, though, also show how humans have wrecked the Florida reefs. Aliens might save us yet — A fascinating new paper theorises that alien civilizations could reshape their homeworlds in predictable and potentially detectable ways like we have. The authors are proposing a new classification scheme that measures the degree to which planets been modified by intelligent hosts. Spilled salmon — Last month, a pen in Washington State holding hundreds of thousands of fish broke, sending swarms of silver Atlantic salmon swimming to the south and north. As you’re no doubt aware, Washington State is not on the Atlantic. Now, these invasive fish have been reported as far as 240km away in Canada. An alarming study indicates why some bacteria is more resistant to antibiotics in space — To learn more about why some germs seem harder to kill in near-weightless conditions, scientists aboard the ISS recently doused a batch of bacteria with antibiotics – an experiment which resulted in a series of startling physical changes that may be helping the bacteria to survive and thrive in space. But wait, this is moving! Well, it should be. Moving your body at least every half hour could help to limit the harmful effects of desk jobs and other sedentary lifestyles, research has revealed. The study found that both greater overall time spent inactive in a day, and longer periods of inactivity were linked to an increased risk of death. So t’s relatively easy for most of us to stave that off. 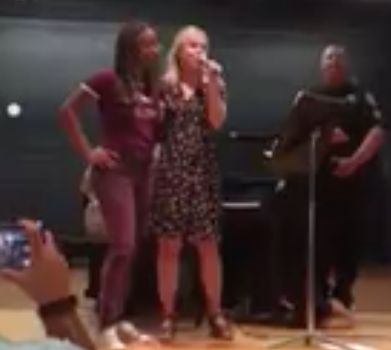 And finally, if that’s not good enough news, actor Kristen Bell (Veronica Mars, Scream 4, Frozen, Bad Moms etc) songs from Frozen to people sheltering from Hurricane Irma in Orlando. Among those sheltering was actor Kristen Bell, who helped cheer up gathered Floridians by performing Frozen hits at a shelter. Tap the ‘123’ button at lower left of the on-screen keyboard. Tap-and-hold on the Dollar sign ($) – ie, touch the character and leave your finger on it, just like you do to get the accented vowels. Slide your finger over to the correct character on the popup that appears without letting your finger lose contact with the screen. Let go on the character you needed. 2/ Jump instantly to the top of a page — Sometimes scrolling back to the top of a long webpage, document or list can be a pain. Here’s a neat little shortcut that many iOS users have overlooked: a quick tap at the top of the screen. Try this – grab your iPhone, iPad, or iPod touch. Next, open an app with a scrolling page, such as a website, list of Mail messages or a long document. Swipe as you normally would to scroll down a bit. It doesn’t matter if you scroll to the very end of the page or just somewhere in the middle; this tip works no matter how far you’ve scrolled. Now tap once at the very top of the screen – tap around the top level area of your screen where the time, battery-charge and connection info is displayed – and it should scroll all the way back to the beginning. 3/ iOS 10 lets you collaborate on Notes — The new Notes collaboration tool in iOS 10 might be the reason you need to upgrade. The person who creates the note owns it and has the power to invite people to view and contribute to the note. Just tap the new collaboration icon – it’s a round yellow badge with a person and a plus sign – to send invitations via text, email, or by copying and sharing a link. If they’re also using iOS 10, tapping that link will prompt them to either open the note immediately or decline. It’s easy and seamless, but that’s only on devices that are running iOS 10 – otherwise, they’ll be pointed toward an iCloud web link to sign in and open the note there. After that, collaboration is simple. You can see changes happening in real-time, with new text highlighted in yellow for a moment before the background fades in with the rest of the copy. People you’ve invited to collaborate on your note can share the link with others, but they can’t invite additional people to make changes. You can cut off access to your note at any time, or delete the note altogether. Notes that people are collaborating on with you are marked with the person icon in your list of notes. 4/ Apple Maps in iOS 10 knows where you parked your car — A new feature in Apple’s newly released iOS 10 automatically remembers where your car is located. This is done automatically for a trip that does not end at the user’s home address. The new feature notifies a user that their vehicle is parked and drops a pin on a map in its location. Users can get directions to their parked car, or edit the location to pinpoint it more accurately. 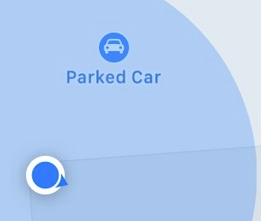 A parked car also shows up automatically as a recommended destination in Apple Maps – a ‘Parked car’ option shows up on the Apple Maps lock screen widget for easy access, if a user has that enabled in iOS 10. 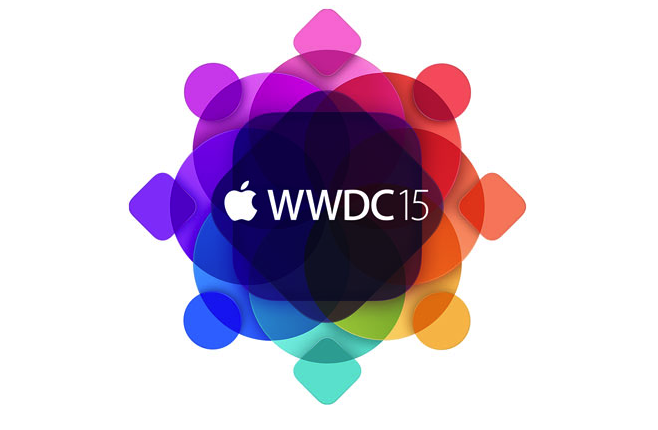 5/ iCloud can back up and restore Health Data — Apple improved options from the latest version of iOS 9 and after. iCloud still does not sync our Health data, but iCloud Backup places a copy with your other data – which means it can restore it to a new device. It’s wise to manually run a backup shortly before you switch to a new device: make sure your iPhone is on a known network, plug it into power, go to Settings>iCloud>Backup, manually start a backup (tap ‘Backup Now’) then immediately lock your device (by clicking the Sleep button on the top right, or upper right side, of your iPhone). Apple doesn’t explain the reason for that last bit, but it’s worth noting. When you restore to a new device, iCloud should bring your Health data down with everything else. To be sure of it, wait to wipe your old device once you have verified your Health data made the voyage. Macs are ‘extremely reliable,’ Windows not so much — In its biannual Computer Repair Report, RESCUECOM (a computer repair company in the US, the UK, and Canada) says that difficulty with Windows has not eased as much as expected, though it has slightly. As for Macs, the report says they’re “extremely reliable” and make up just 0.7% of the repair calls to RESCUECOM. Apple Maps adds 29 Flyover locations, expands traffic and transit — Continuing its perpetual Apple Maps feature rollout, Apple on Thursday activated Flyover imagery for 29 new locations, while adding traffic and transit data for multiple international locales including Chile and Vatican City. macOS 10.12 Sierra — The Public Betas allow more people to get to grips with Sierra. Here’s a ‘what you need to know‘, and how to use Siri on Mac. 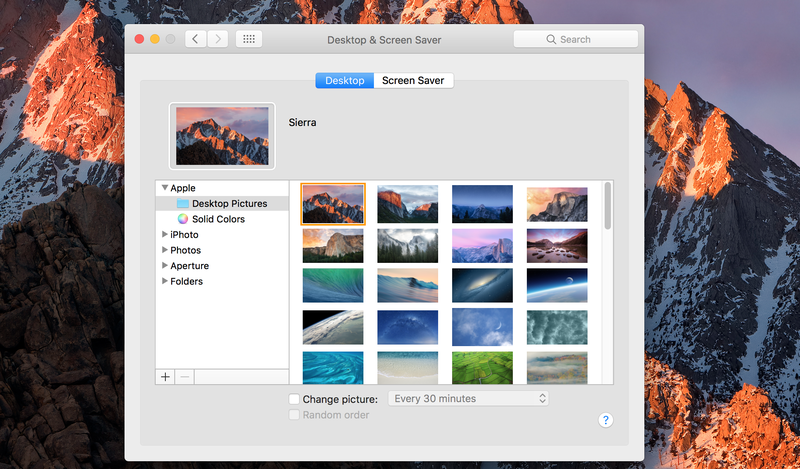 Photos gets a minor refresh in the next macOS, but it’s significant for finding people and other searching.Photos has long been a snooze of an app in iOS, and when its OS X complement arrived in Yosemite, it was underwhelming. Through many small releases in El Capitan, Photos’ stability improved and features expanded. Now, in macOS Sierra (and in iOS 10 Photos), Photos is poised to be much more useful for the most common task after sharing: searching. Eternal Storms Software’s Glimpses for Mac OS X — This software lets you create still motion videos with just a few clicks and share them on popular video services. HoudahGeo 5 review: now every DSLR photo can include geotags — Add geotags to photos shot using cameras without built-in GPS hardware. And it has Improved stability. 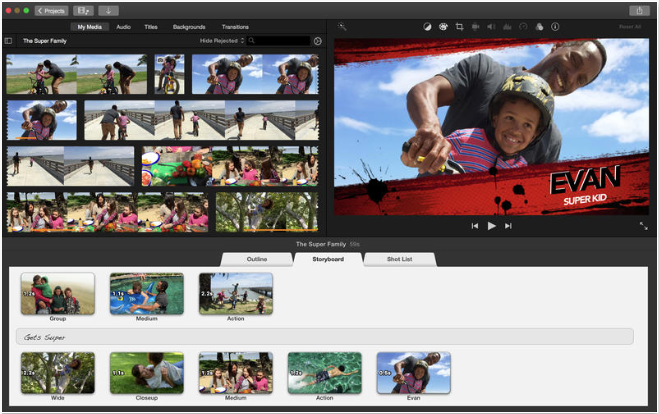 iMovie 10.1.2 is a free update for registered users. For new users the cost is $14.99. The app is available at the Mac App Store. Apple, Samsung, Facebook, Amazon & the case of the ‘very bad’ Q2 — Apple’s fiscal Q2 earnings were the company’s “worst ever” of the last decade in terms of year-over-year growth, but not in terms of actual commercial activity during the first three months of 2016. Take a closer look at Apple and three other firms: Samsung, Facebook and Amazon. Apple redesigns Support website with clean layout, responsive UI — As part of ongoing website redesign efforts, Apple on Friday launched a revamped Support Pages mini-site with a cleaner layout, easy to access topics links and responsive web assets supporting desktop and mobile browsing. Drake’s new album an Apple Music exclusive for one week — Streaming of Drake’s latest album Views has hit Apple Music, and will be exclusive to the streaming service for one week, the rapper announced on Beats 1. Dead Apple employee identified as 25-year-old software engineer, report says — An Apple employee found dead at the company’s headquarters in Cupertino last Wednesday has reportedly been identified as a 25-year-old software engineer. Which Mac should you buy? When it comes to purchasing a Mac, Macworld has the lowdown on each model to help you make a buying decision. Apple Maps expands Spotlight Suggestions to 3 new countries, adds Flyover and traffic locales — Apple has rolled out new coverage areas for Flyover and traffic services, while activating Spotlight Suggestions in three countries. Why not pick Keychain instead of 1Password or LastPass? Keychain has a number of excellent features, but it’s not as easy to invoke nor as diverse as 1Password, LastPass, and other third-party password ecosystems. How to edit video in Photoshop CC — Photoshop CC is ideal for creating promotional video pieces, portfolio-based slideshows, and sellable videos for your photography business. Best of all, you don’t have to learn another program – you’ll use tools you’re familiar with. In this column, you’ll learn how to create a wedding video by mixing stills, video, and text. Cook meets Pope — A peek at the schedule of Pope Francis has revealed the head of the Catholic Church met with Apple Chief Executive Tim Cook on Friday, though what the two discussed has not been disclosed. Apple’s ‘Project Titan’ chief to reportedly leave company, car team under pressure — Apple veteran Steve Zadesky, thought to be heading up the company’s Project Titan automotive initiative, has informed colleagues he plans to leave the company, according to a report published Friday. Apple expands Maps capabilities with new Flyover, Nearby and Traffic location data — Apple’s efforts to improve its in-house Maps service moved forward last Thursday with the addition of four new Flyover locales (Japan; Bruges, Belgium; Lake Powell, Utah; and Limoges, France – now Flyover is available in 220 locales around the world), public transit data for Los Angeles, a European expansion of Nearby POI suggestions and Traffic data for Hong Kong and Mexico. Apple shares finally close above $100 again — Apple shares closed above US$100 on Friday. The stock closed at US$101.43, up more than 5.1% in trading for the day from its previous close of US$96.30. In anticipation of a good to great financial report from the company, perhaps? Understanding iCloud storage, issues with songs ratings — Apple gives you 5GB iCloud storage for free, but do you know what you can do with it? Does it have anything to do with music in the cloud, or on your iPhone or iPad? 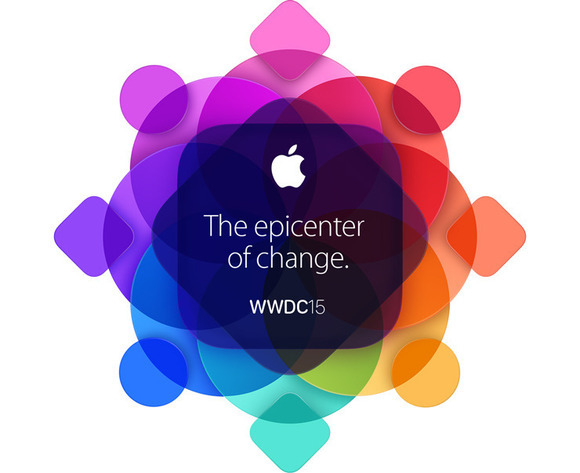 Apple releases fourth public beta of OS X 10.11 El Capitan — Apple has provided public OS X beta testers with the fourth pre-release build of El Capitan, its forthcoming free Mac operating system update set to launch this fall. Apple Buys 43 acres in San Jose, enough to tturn Spaceship HQ into a fleet — Apple has purchased 43 acres (174,014.83 square metres) in San Jose, California, a plot of land big enough to hold a building as large as its massive Apple Campus 2, the so-called Spaceship HQ. The spot is the first known land purchase by Apple in San Jose, but it’s right next door to 27871 square metres of office space recently leased by the company. Manage classical music in iTunes 12 — iTunes has always been designed for “songs,” and, for the most part, classical music isn’t a song-based genre. Because of this, organising classical music in iTunes can be a bit complicated. But with a few workarounds, it’s possible to maintain a large classical music library in iTunes. 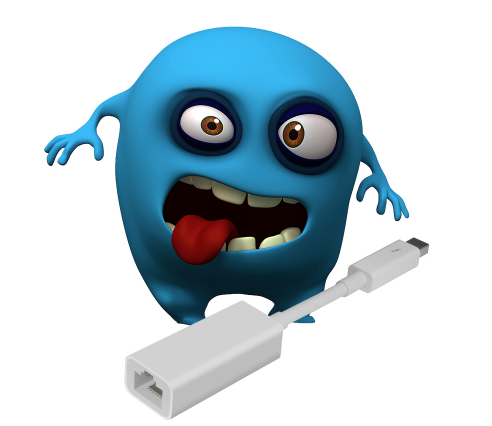 Thunderstrike 2 could attack your Mac … but not today — Prepare for doomsday because there’s a new Mac security threat that targets Thunderbolt to deliver its payload to destroy your computer — or so some medial outlets would have you believe. The threat, dubbed Thunderstrike was first revealed at the beginning of the year as a proof of concept, and now the developers have a new version called Thunderstrike 2 that can target computers through malicious websites. Apple’s ‘Ecosystem’ developer video — Apple has a cool video on its developer siste called Ecosystem, as noted by Redditor hollowgram. Whenever it was made, it focuses on how developers and end-users are able to make more out of Apple’s ecosystem because it’s just that, a true ecosystem. Apple doesn’t haven’t a sharing feature built into the videos posted to its developer site, but you can click through and watch it. Taylor Swift says she was surprised by positive response to Apple Music letter — Pop musician Taylor Swift was surprised by the positive response to an open letter criticizing Apple Music royalties, including Apple’s quick decision to reverse course, according to an interview published on Tuesday. Oxeye, Minecraft’s Mojang to release new Cobalt multiplayer — Cobalt, a long-gestating multiplayer action platformer jointly developed by indie studio Oxeye and Minecraft creators Mojang, is set to drop on the Mac this October alongside the Xbox and PC. Kiwi in Apple Music — That’s right, the voice of this station will be Zane Lowe. iOS 9 to brings multitasking to iPad — The iPad is going to get more useful when iOS 9 ships this northern autumn because it introduces multitasking: the ability to work with two apps at the same time. Apple also redesigned the on-screen keyboard to make it easier to type. Apple’s iOS App Store hits 100B downloads, pays out $30B to developers — In an update to developers at WWDC, Apple CEO Tim Cook announced that the company recently exceeded 100 billion downloads at the iOS App Store, and has generated $30 billion for developers. Apple replaces Passbook with Wallet as Apple Pay expands to UK — Apple Pay was designed to replace your physical wallet, and with iOS 9, Apple is uniting Apple Pay and Passbook under a new umbrella called Wallet. Apple Maps in iOS 9 adds public transit, local business search — Apple has announced an update to Maps that include access to public transit directions, enhanced location detail, and the ability to discover nearby business and other points of interest. Transit information in Maps will be available in select major cities this spring. These include Baltimore, Berlin, Chicago, London, Mexico City, New York City, Philadelphia, the San Francisco Bay Area, Toronto and Washington DC, as well as over 300 cities in China, including Beijing, Chengdu and Shanghai. Siri becomes even more helpful with proactive assistance — Apple said its Siri digital assistant will soon become far more helpful, proactively — but discreetly — figuring out what you want to do before you do it. Apple overhauling data services ‘front-to-back’ for future version of Maps, job listing reveals — Apple is planning major changes to Maps that will involve radically overhauling the data services behind the platform, according to a job listing posted on Thursday discovered by AppleInsider. Apple has also acquired high-accuracy GPS technology firm Coherent Navigation. Foxconn posts record first-quarter profits on strong sales of Apple’s iPhone 6 — Asian manufacturer Hon Hai, better known as Foxconn, on Friday reported its highest first-quarter profit growth in a decade with a 56 percent jump year-over-year, driven at least in part by strong sales of the iPhone 6 and iPhone 6 Plus. Bentley again chooses iPhone to shoot new ‘Intelligent Details’ short film — Almost one year to the day after Bentley aired its first promotional ‘documentary’ shot and edited on iOS devices, the luxury car brand repeated the effort to commemorate the Savile Row Bespoke exhibition in Washington, DC. Sunrise Calendar builds Meet into iOS 8 keyboard, HBO Go adopts modernized UI — Microsoft has updated Sunrise Calendar for iOS with a new scheduling tool called Meet, while HBO brought the iOS edition of HBO Go up to par with a redesigned interface. Two games: Does Not Commute and Implosion — There’s an undercurrent of weirdness in Does Not Commute (universal, free with in-app purchase) that Fox Mulder would love. The beautiful and challenging strategy game from Mediocre Games has you driving various vehicles, from sedans to speed boats to ice cream trucks, through several neighbourhoods, being careful to beat the clock and avoid the other drivers. Apple to face labor related class-action suit after court denies motion to dismiss — A three-judge panel in California’s Superior Court recently denied Apple’s appeal to throw out a class-action lawsuit lodged by current and former employees who claim the company’s treatment of workers violate state labor codes. Protestors take over Fifth Ave Apple Store in ‘die-in’ demonstration — A group of protestors condemning the controversial police killings of two African Americans took part in a “die-in” at the iconic Fifth Avenue Apple Store in New York City Friday night, crowding the site and bringing retail operations to a grinding halt. A protestor from Brooklyn named Zandir Santos said the 5th Ave. Apple Store, along with a nearby Macy’s location, was selected as a message to corporate America. 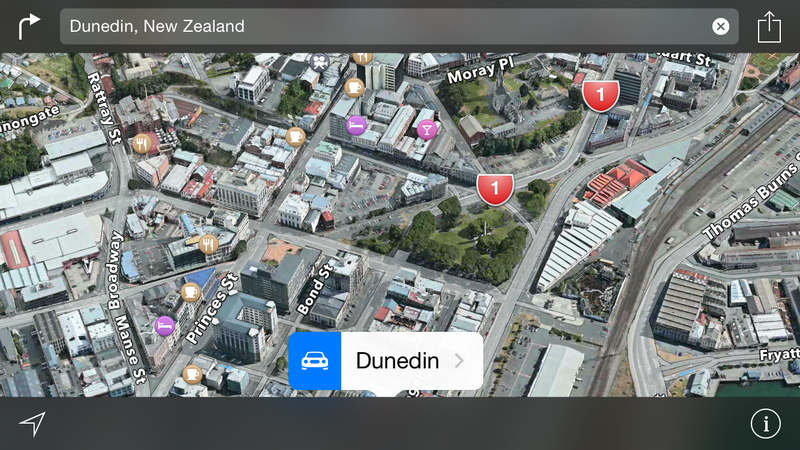 Apple Maps gets 9 new Flyover locations including Dunedin while Siri added international movie times — Apple on Friday pushed out an update to two first-party services, bringing Flyover to nine new locales including Dunedin, New Zealand while expanding international movie showtime support for Siri. Apple Campus 2 to boast $161M auditorium, $74M fitness facility — Newly unearthed building permits discovered this week reveal a bit more about Apple’s plans for its Campus 2 facility, with the company earmarking $161 million for an auditorium and $74 million for an employee gym. How to speed up your network without replacing your AirPort Extreme Base Station — Apple’s AirPort Extreme Base Stations (AEBS) have never been a bargain, but they’ve always offered good speed and range. What’s really set them apart, however, is ease of configuration and the ability to connect remotely using Back to My Mac. Here are some suggestions to speed up older Extremes. Wickr adds a Mac client to its free ultra-secure messaging family — A Mac client has just been released with all the features of the Wickr iOS app, and there now are apps for Windows and Linux as well as iOS and Android. Strong demand for iPhone 6 & 6 Plus persists, prompts Piper Jaffray to raise Apple price target to $135 — Piper Jaffray has been tracking availability of the iPhone 6 and iPhone 6 Plus at Apple Stores and continues to see demand outstripping supply, leading the investment firm to raise its price target on AAPL stock on Thursday. Apple continues to enhance Maps app with new business listings providers — After Apple’s Maps app launched to negative reviews in 2012, the company has actively taken steps to enhance the fledgling navigation service, the latest effort being the addition of listings data from at least ten new companies. Apple now taps 13 providers for aggregating and supplying business listings data. The best games showcasing Apple’s Metal API for iOS 8 — Apple’s iOS 8 introduced new developer tools dubbed Metal, allowing for more advanced graphics on both the iPhone and iPad. Here are the best games out now showcasing the power of Metal. MapItOut is a feature rich app for runners, travelers and map mavens — MapItOut (NZ$2.59) is a very enhanced map program for iOS. You can search almost any city on Earth and then easily find places to go. You save those destinations, and the app creates a customised map for you, complete with directions. MapItOut can be used to create a whole travel plan for a trip, or just a local map if you’re a runner and want to see the sites while getting your exercise. Apple planning to bundle Beats Music app into iOS early next year — The Financial Times is reporting Apple plans to bundle the Beats Music app into iOS sometime early next year, perhaps as early as March. Flic is a ‘smart button’ that tells your iPhone to STFU — As far as smart gadgets go, Flic is about as simple as it gets. The tiny magnetic button can be programmed to control various functions of your phone, from silencing an alarm to snapping a photo. Each button can be programmed with three different functions initiated by either a single tap, double tap, or push-and-hold, and at US$27 each they’re relatively cheap. 1/ Finding locations in Maps —If you are trying to get directions using the Mac’s Maps program, but you don’t know the address, there are a couple of simple ways to do that. First of all, if the place you’re headed to has a landmark icon next to its name, click that to bring up the location’s address and a small selectable ‘i’ you can use to get directions. 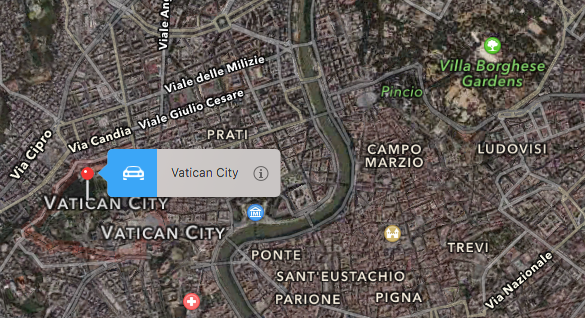 2/ Right- or Control-click — If the location you want directions to has no icon to click (if you’re trying to get to an intersection, for example), the secret lies in right- or Control-clicking directly on the spot. Doing that will bring up a handy contextual menu, from which you can drop a pin or open a new window. But best, perhaps, is the ‘Get Directions’ option: pick that, and Maps will automagically take you right to the place you need to go. 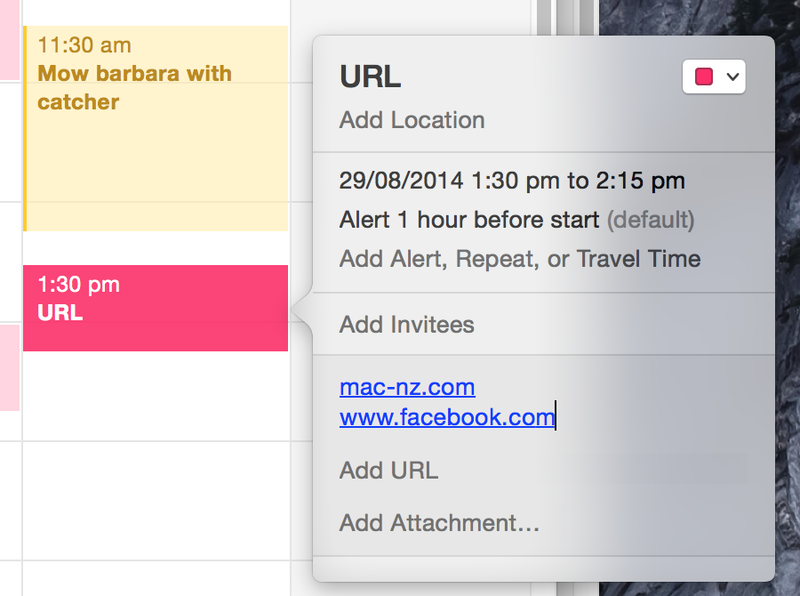 4/ Add multiple URLs to Calendar Events — When you create a new event in Calendar, there’s a clickable area titled ‘Add Notes or URL’. Clicking it brings up separate sections for Add Notes and Add URL. Rather than entering the URL into the Add URL section, click on Add Notes. Now start typing or pasting URLs into the Notes section. Don’t worry about ‘http:// ‘at the beginning of the URL, just typing an address like mac-nz.com will turn the URL into a clickable link when you press Return on your keyboard. You’ll see the address turn blue and gain an underline, indicating that it can be clicked, and since you’ve pressed Return, you can proceed to type in or paste subsequent web addresses. 5/ Apple has a customer-support page built just for you — If you have a Mac, an iPhone and maybe an iPad or two, and you have a problem and you want to find out if something is still under warranty (and what that warranty covers), you can find out all that and more in one place — a place many Apple users have never heard of. Apple has a standard Support website, but we’re talking about your own Support Profile page. There, you can view a list of all of your Apple products, check their warranty coverage, access troubleshooting resources, and contact Apple’s support team. Here’s how to take advantage of all that. You’ll need to log in to ‘My Support Profile’ (main picture, above) with your Apple ID email address and password. It pays to log in and make sure all your devices are in here. The Activation Lock feature Apple introduced in iOS 7 is already having a discernible impact on crime, according to law enforcement officials in a few major cities. If you recall, Activation Lock prevents would-be thieves from turning off “Find my iPhone” without first entering the appropriate iCloud credentials. What’s more, even if a thief wipes a device clean, reactivating the device requires the original device owner’s credentials. The end result? The iPhone remains a popular device for consumers, but not so much for thieves. And also, all the other smartphone makers are considering adding similar features. Although deeper changes to Maps are in the works, Apple did announce a new City Tours feature for iOS 8 discreetly on one of the keynote slides. This feature is not normally available in the current iOS 8 betas, but developer Pierre Blazquez has managed to unlock the feature through a hidden debug screen and shines some light on exactly what ‘City Tours’ entails. In Brixton, South West London, hundreds of businesses will soon integrate iBeacons as part of one of the first real-world networks for mobile payments using Apple’s Bluetooth LE iBeacon tech. Approximately a week after releasing Skype 5.0 with a completely revamped design and new features, Microsoft is now rolling out version 5.1 with various improvements. Notably, there are enhancements to managing conversations, favourites, and finding the status of Skype contacts. Adobe has posted a quick update to the fascinating Adobe Voice app. Adobe Voice is designed to create animated videos with very little work. As we noted in our review, it integrates animation, photos and music to create quick, but professional-looking, presentations. Each new iteration of QuickBooks Online and its related set of apps makes this platform better, thinks Jeffery Battersby. QuickBooks Online has had good iOS apps for accessing your QuickBooks Online data and now they’ve released the QuickBooks app for Mac, a free tool that brings your QuickBooks Online account to an app on your Mac. LinkedIn’s news continues today as it launches a standalone iPhone app for dedicated to job hunting. The iPhone app is called LinkedIn Job Search and it joins the primary LinkedIn app as well as LinkedIn Pulse, LinkedIn Contacts, and the social network’s other existing mobile applications. The app takes advantage of location data and push notifications to keep job hunters updated with relevant opportunities based on a set criteria.